If you are caught up in your career & not in a position to take a break for upgrading your skills, this programme from IIMK is a God sent gift for you! Thank you Hughes Education! ✔ Hughes Global Education is the pioneer in providing the ‘Interactive Online Learning Platform’ for the working professionals to pursue an Online Executive Certificate Programs. ✔ Along with the technological advantage, we offer programs designed by premium institutes IIM Ahmedabad, IIM Calcutta, XLRI and other ivy league colleges, to meet the new-age requirements of the industries. ✔ The programs cater to the requirements across all managerial hierarchy ie. junior- middle- senior management. 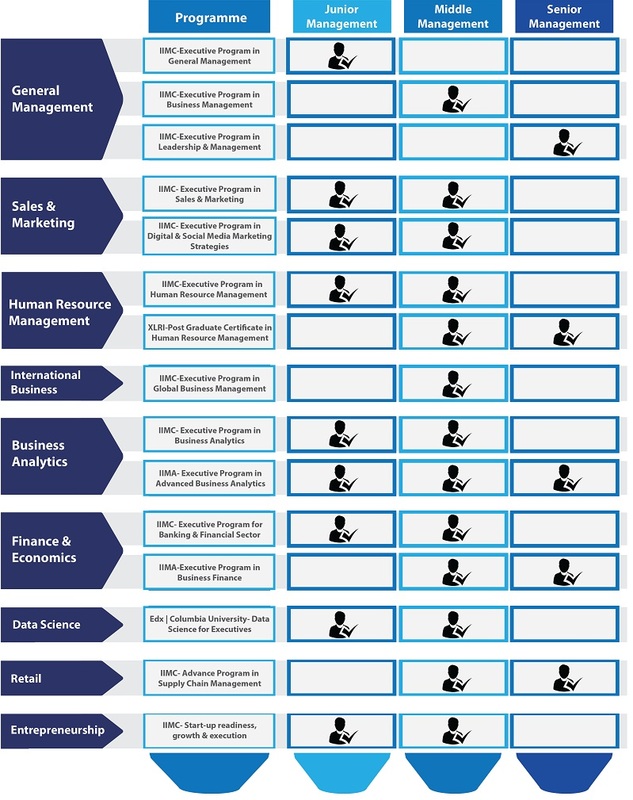 Cater to enhancing Business Analytics, HR, Marketing & Sales, AI, Data Science and International Business management skills. ✔ Hughes Education today commands more than 50% market share in Class Apart Learning in India for working executives, with more than 2500 students enrolling every year. ✔ Simulated Classroom with a high degree of interactivity & technology-assisted learning. ✔ Extensive Program & Class Management Tools, allowing faculty to monitor/guide students. ✔ Corporates can take advantage of the premium programs with their employees attending it from their own city & towns. 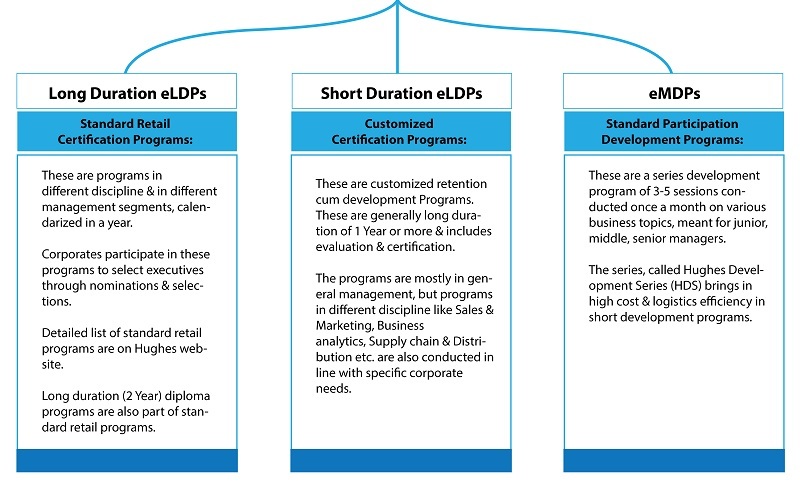 ✔ Lower program cost through reduced logistics than an institute based program. ✔ Premium pedagogy & faculty. ▸ We help the corporates with customized training programs as per their exact requirements and from the Institute of their choice from the list of our partner institutes. their classes from within their office premises. I want to know more. Send an Email at wecare@hughes.in for any queries, support or assistance required. At Hughes Global Education, we care for your future. © Hughes Education 2018 | All Right Reserved.